Hendrick Concord Toyota has an extensive and diverse collection of quality pre-owned vehicles that the communities of Concord, Charlotte, Huntersville, and surrounding communities have enjoyed for many years. 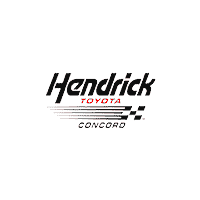 Hendrick Concord Toyota has a variety of popular models and makes to choose from. Our inventory can be viewed online, or you can visit us and our sales associates will happily share their expertise so you can find a vehicle that matches what you are searching for. Hendrick Concord Toyota ensures that the pre-owned vehicles on our lot are of a certain standard of quality through rigorous testing so you get reliable performance no matter what car you purchase. Buying a used car is a great way to get great value on your purchase, and with Hendrick Concord Toyota screening for quality inventory only, you can’t go wrong. What’s more, our used car specials further enhance the value you receive from purchasing a used vehicle from our dealership. Additionally, if you need financing on your pre-owned purchase, our finance officers will make securing a loan as simple as possible. Hendrick Concord Toyota vows to provide a complete dealership experience with a smile. Don’t wait any longer and visit us today to get a quality used or certified pre-owned from our friendly sales staff.